The Romans gave this month the Latin name Aprilis but the derivation of this name is uncertain. The traditional etymology is from the verb aperire, “to open”, in allusion to its being the season when trees and flowers begin to “open”, which is supported by comparison with the modern Greek use of άνοιξη (ánixi) (opening) for spring. Since some of the Roman months were named in honor of divinities, and as April was sacred to the goddess Venus, her Veneralia being held on the first day, it has been suggested that Aprilis was originally her month Aphrilis, from her equivalent Greek goddess name Aphrodite (Aphros), or from the Etruscan name Apru. Philippines, Tarlac (Lusita): farmers and peasants occupy oligarch’s land in growing occupation movement “…farm workers and peasants in the Philippines have directly seized and occupied property claimed by one of the archipelago’s largest banks and main oligarch families, the Aquino clan. The move is an escalation of a long campaign to dismantle the unjust system of feudalism and landlord rule inherited from the period of Spanish colonialism. Gathered in the hundreds and carrying signs with slogans such as, “Land to the Tillers, Not to Their Killers,” members and supporters of the Kilusang Magbubukid ng Pilipinas — a militant mass movement of small farmers, landless peasants, farm workers, rural youth and women — converged on a walled-off section of Hacienda Luisita, a massive sugar plantation in the Tarlac province controlled by the Cojuangco-Aquino political dynasty. As hundreds of police and private security guards looked on, 700 farmers took turns destroying a concrete wall enclosing large tracts of land that were illegally sold to the Rizal Commercial Banking Corporation. Eventually, a farm tractor was brought in to pull sections of the wall down.” For more info see this. 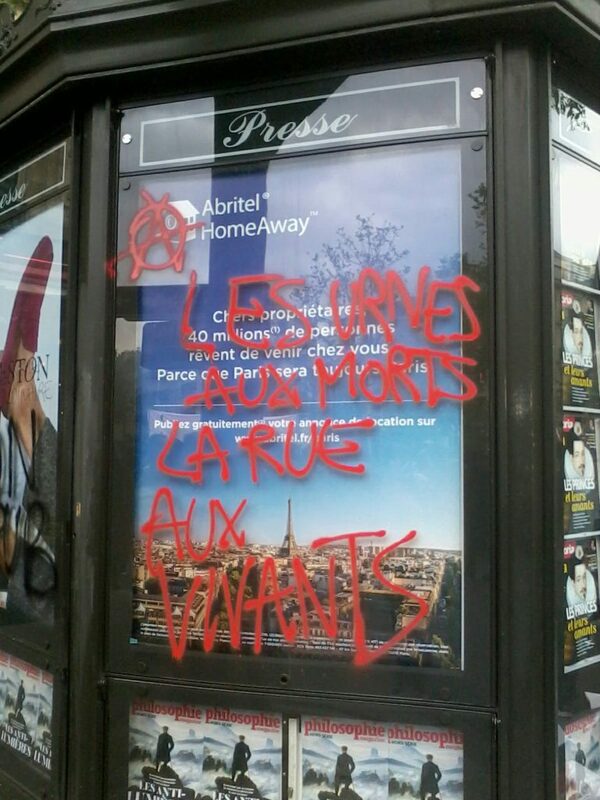 France, Paris: clashes with cops, some attacks on cop vehicles, banks, bus shelters etc., during anti-election rally…It has to be pointed out that most of those involved in these anti-election riots are the “Appelistes” or their followers, whose ideology included a disgusting apology for ISIS following the mass murder at Bataclan in November 2015, an attack which was deemed “anti-economic” by Coupat, the Appelistes/Tiquunist leader/ideologist. For what it’s worth turnout in the election was 77.77 percent, the lowest in a French presidential election for 15 years. 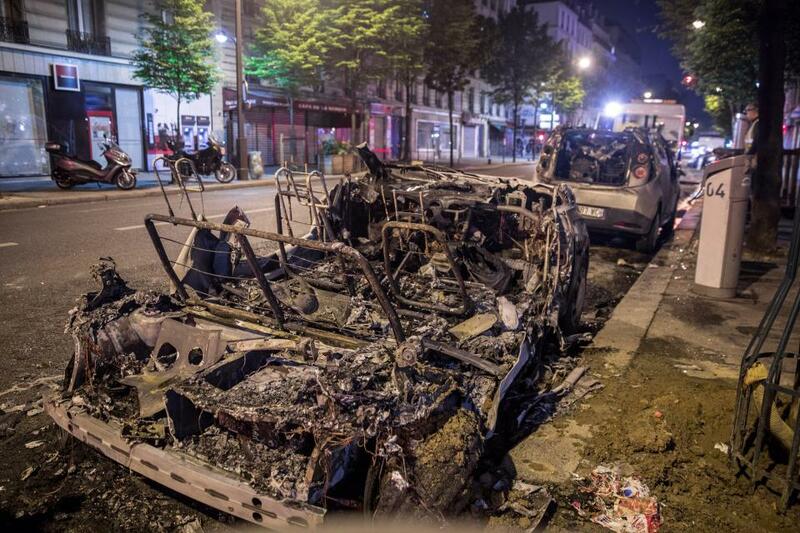 …Nantes: bins burnt etc. 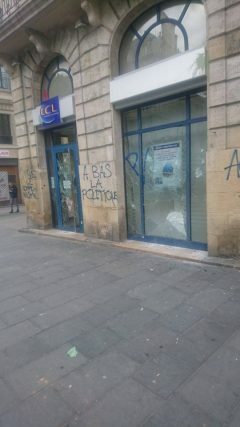 during anti-election street party “…a call for students and high school students to gather in front of the faculty of Letters this Monday, April 24 at midday: “In order not to give the ruling classes the right to govern us”… Essonne: town hall, where voting takes place – window broken, bins burnt, wall paint-bombed and graffitied with anarchist slogans…Var: Front National offices attacked, organiser hit with bottle This is in an area where Le pen came 1st, the scandal-ridden crudely neoloiberal Fillon came 2nd and the more subtly neoliberal frontrunner Macron came 3rd. 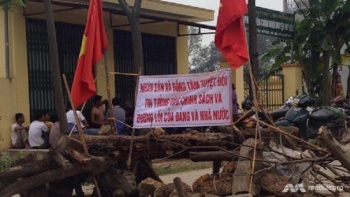 A barricaded road to Dong Tam commune with a banner that reads ‘The people of Dong Tam have absolute faith in the policies and the way of the party and state’. This attempt to assuage the hostility of the party and state towards the hostage-taking of the party’s and state’s defenders with a “correct” image of submissive “good intentions” will almost certainly not work. UK, Cleethorpe: build a bonfire, build a bonfire, put the teachers on the top, put the prefects in the middle, and burn the bloody lot…. Venezuela, Miranda: 15 shops looted, as government and official opposition blame each other for this subversion of commodity relations “The latest in more than a week of violent clashes erupted overnight Thursday to Friday in the town of Los Teques near the capital. 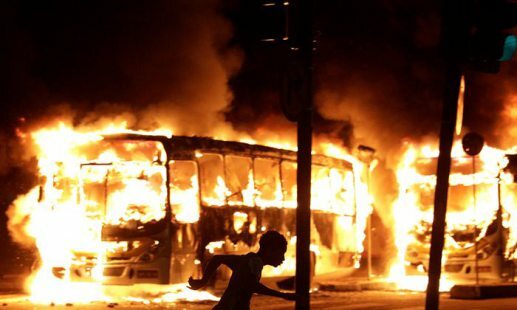 Protesters mounted barricades and hurled Molotov cocktails, and police fired tear gas,…Capriles, governor of the surrounding Miranda state, said 15 shops were looted, including several bakeries. 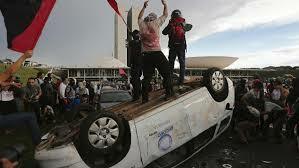 Speaking at a news conference, he alleged that “all the acts of vandalism” were ordered by the government. 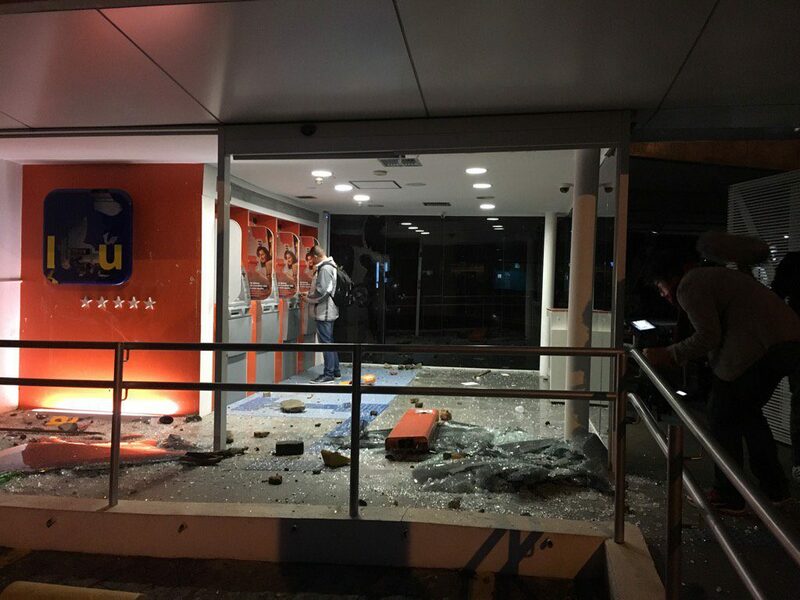 The pro-government mayor of Los Teques, Francisco Garces, on Twitter blamed the looting on “violent opposition factions.”” This claims 26 businesses were looted after 4 slip roads to the main motorway were blocked, barricades erected on 11 other roads and the HQ of the People’s Guard was attacked. Venezuela, Guarenas: looting of stores as resistance to state goes beyond official opposition “At least 14 businesses were affected after a group of people entered and looted establishments by force …According to Efe, a shoe store, a jewelery, hairdressers and a lottery agency of the Miranda Shopping Center, located in the sector of Trapichito, were some of the most affected shops, while a bakery and a supermarket… were attacked by looters. The people stormed the place in the early morning hours,”attacked” the guards and damaged the main entrances…Although it was an isolated event in relation to the rest of the country, this coincided with the culmination of an opposition protest, which took place in the same area and ended with the closure of a nearby street. 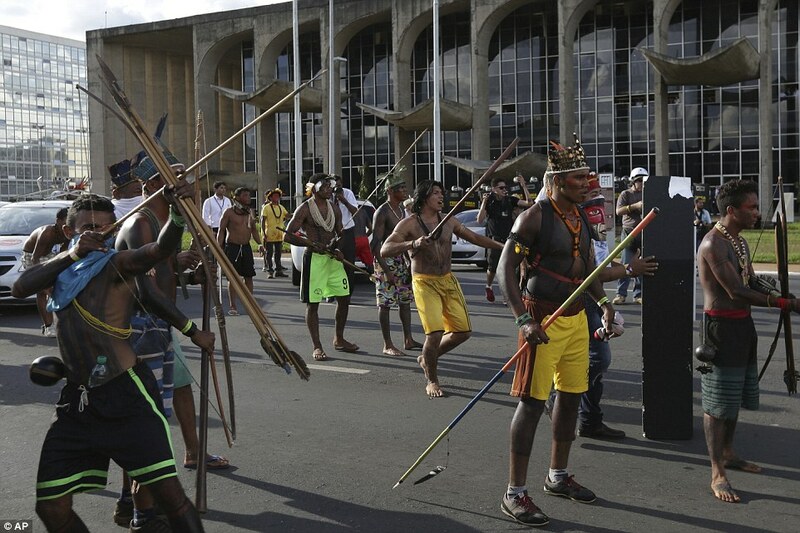 …the demonstration culminated around 1 am and …after the withdrawal of the security forces, “the looting began” ….the guards came to the site as the looting was in full swing, but…they withdrew because other nearby shopping areas also had problems. Losses at the jewelry are estimated at about 50 million bolivars…Dao pointed out that in the jewelry he worked with gold pieces and repaired watches and assured that “they took everything”. He complained that if looting was supposed to be because people are “hungry,” he does not understand why they steal jewelry.” See also this. “While demonstrations are often held in middle-class neighbourhoods, this most recent wave of unrest for the first time has prompted protests in the slums that have historically been bastions of support for the socialist revolution launched nearly two decades ago by Hugo Chavez, the late president.” Undoubtedly this is because of the general worldwide crisis, partly involving the international drop in the value of oil here causing a massive inflation rate (about 800%), and the resulting misery of poverty and endless queues to buy stuff from stores where prices are fixed by the state or from the black market rackets where businesses are able to sell stuff at far higher prices than the ordinary stores to those who can afford to avoid spending hours and hours queuing. Lithuania: the devil attacks hill of crosses; ideology of sacrifice put in doubt Apparently schoolkids are often forced to go to this hill, covered with as many as 500,000 crosses (located over 220 kilometers from the capital in a country of under 3 million people), in order to learn the joys of Christian duty – e.g.self-flagellation. Schoolkids used to subvert this by stealing a cross and chucking it in the bin. See also this. 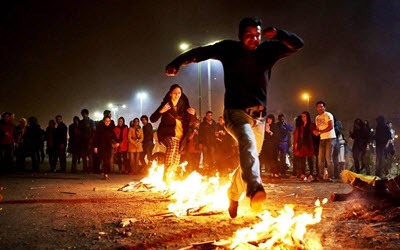 Mexico, Puebla: villagers protest against new commercial use of communal water pipe, fight cops, expel them from construction site (video) According to this article in Spanish a cop was also taken hostage as an exchange against various detained individuals. 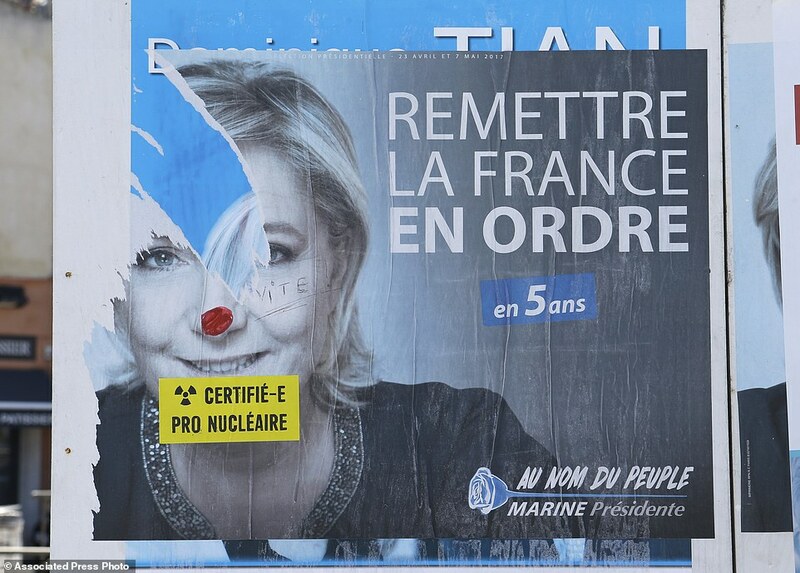 France, Corsica (Ajaccio): clashes at Le Pen rally It seems that most of this attack comes from Corsican nationalists, though below the photo showing criticism of Le Pen for being pro-nuclear is an unusual stance for those who want an independent Corsica. “Certified pro-nuclear” – in fact, almost all the candidates, including the “far Left” candidate Melenchon, are pro-nuclear. Officially, Melenchon is against nuclear power, but he fully supports military nuclear arms and research (including depleted uranium) , which is over 50% of the State’s nuclear investment. And even for civil use, his position is hardly different from Hollande’s was before the last election – ie a very slow programme of closing them down (so slow, in fact, that Hollande in his 5 years as president has not even begun disinvestment, let alone making progress in shutting down any nuclear reactors ). US: anti-war demos in at least 12 cities following intervention in Syria…Florida: anti-war demonstration clashes There’s a list of links to English language reports here on this French language site. It seems that this demo largely involved various types of maoists, including those of the RCP. A contact writes: “The minimal number of hand-made signs versus the sea of identitcal paper slogans cranked out by the Organization, and the banner “Refuse Fascism”, with its apeal “In the Name of Humanity…” – a humanity from which the Maoists have done a better job of subtracting than anyone else – confirms the growing power of this best and most well-financed …of the bureaucratic left, an archaism brought back to life by the return to archaic conditions in society. One notices the complete absence of anarchist signs or those of the other tendencies as well…downright monolithic; positively stone-age….I just found the same Maoist signs masquerading, or being taken as the new normal for protest, on the NYT Charles Blow editorial page. This is what the RCP is succeeding at now, becoming the face of modern protest for an amnesiac America.” Later, the same contact wrote: “I just got a much better screen-grab of the demo in Jacksonville (FL) and it is now clear that the sea of yellow signs are not those of the RCP (whose banner nonetheless leads the demo), but those of Workers’ World – the /other/ Stalinists, whose nationwide presence has so far been less prominent. Also curious (sanctioned by whom?) are the numerous Syrian flags. An article I saw after typing-in ‘anti war demonstrations in Florida’ gave me another story, that there were counter demonstrators with whom the anti-war demonstrators had been fighting. 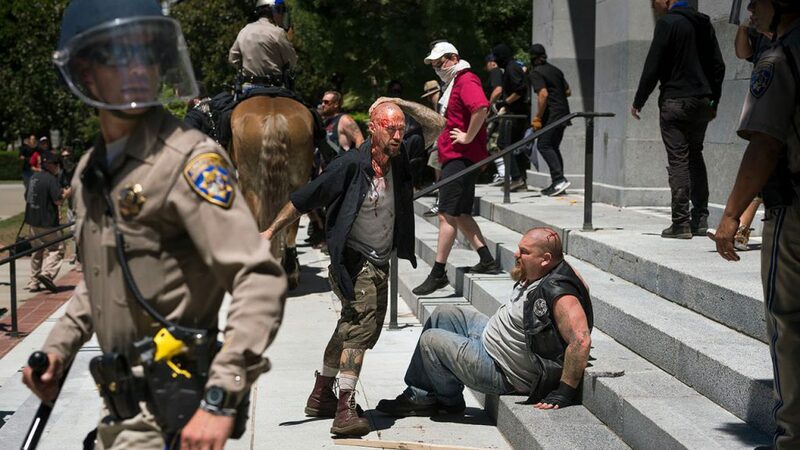 That notwithstanding, what I have seen so far (there is more to be seen that I haven’t yet) shows cops attacking the demonstrators, and not counter-demonstrators….A third group, featured in the RT version of events in Florida. Ramsey Clark has long been a fixture of pro-ML politics here, but this is the first time in a long while I’ve seen his outfit featured prominently in the news. The graveyard of leftism is coming back to life.” And this affirms that the “International League of Peoples’ Struggle”, a Maoist front behind the International Action Committees, are significantly involved in these demos against the bombing of Syria. 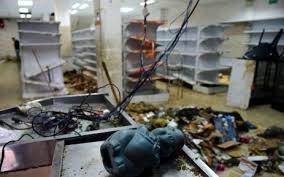 For a critique of Maoism in practice see this…. For a good comparison of intervention in Syria and in Libya, see this….For a statement from Syrian and Iranian “Socialists” see this (which is not in any way to endorse the political perspectives of this group)… For a reminder that every idiot’s “favourite UK Prime Minister” was in favour of chemical weapons, see this…. 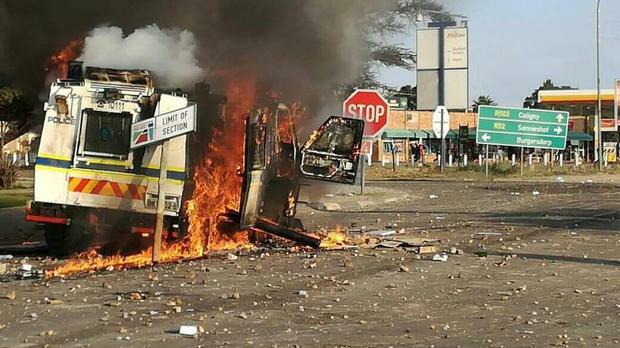 South Africa, Limpopo: looting during protest “…residents blocked roads leading to Polokwane…The violence then escalated to the township itself where people started looting shops, including a KFC outlet at the Seshego mall. A truck belonging to a businessman was torched…The suspects then later took advantage of the nightfall and broke into the Total Sport store at the Seshego mall and looted some items. An attempt was made to break into Foschini store” .No explanation of what the protest was about in this article. This is largely dominated by the right-wing opposition parties, which does NOT, of course, mean, like most of the Left, that we shouldn’t oppose Chavismo or Murdurismo. But then the Left have never opposed anything fundamentally. About the only site from Venezuela with more or less an acceptable class perspective is “El Libertario”, which Leftist worshippers of Chavez and his heir have (in the past) denounced as “false anarchists” merely because they’ve supported certain elements of opposition. France: Director General of Internal Security claims demonstrations for Chinese guy murdered by cops have been infiltrated by the Chinese mafia and agents from Beijing (you might think this is an April Fool’s joke, but it’s not).